Yesterday evening around nine, there were loud booms. 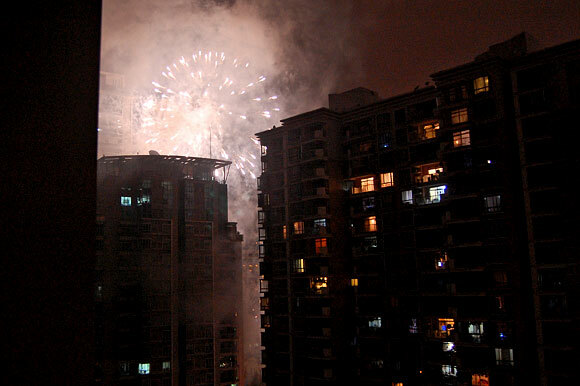 J. and I walked onto the balcony and were surprised by large fireworks exploding just a few buildings away from our hotel. They were launched from the street outside a newly remodeled restaurant, the blasts about 24 stories in the air between two residential towers. 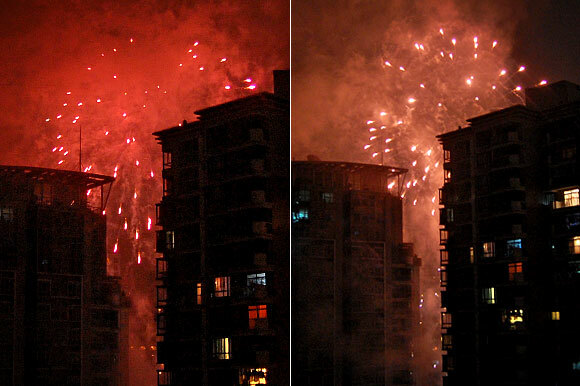 Embers from the bloom landed on rooftops, bounced off windows, and settled on balconies. It must have been an incredible and terrifying sight for the people with windows at explosion level. More than twenty large fireworks were launched before I went to grab my camera. Properly armed with the spectacle-capturing device, only 10 more fired as I fussed with exposure settings. 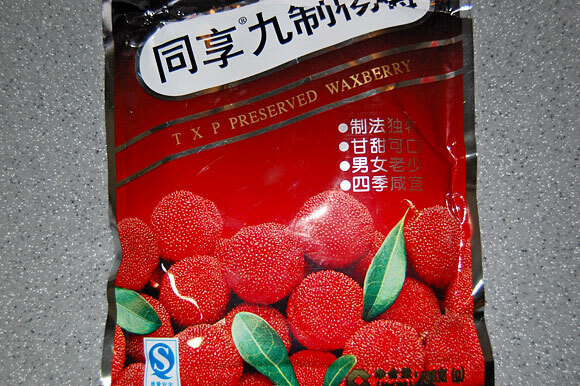 Preserved waxberry (tastes like mulberry). 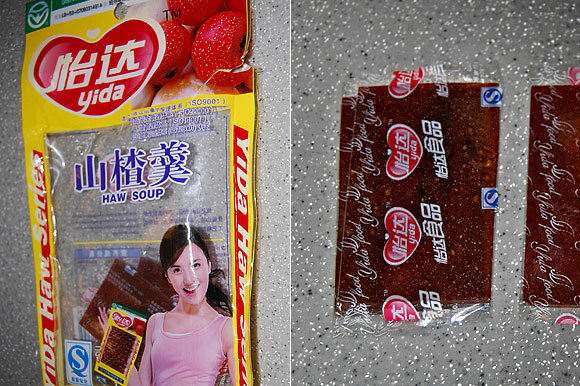 Strips of hawthorne berry fruit leather. 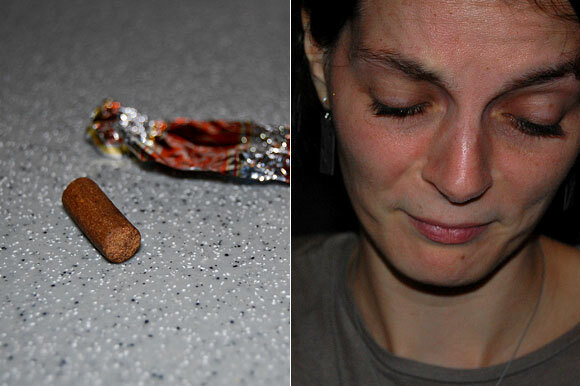 Salty orange peel candy and J.’s reaction to the taste. 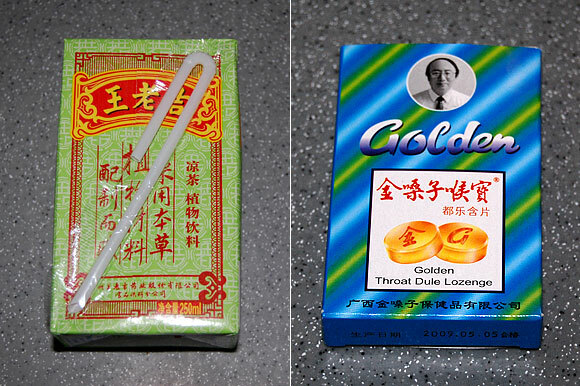 Herbal drink and herbal throat lozenges. The Golden box is like a elementary school laser backdrop from the 80s. Amazing toasted chili and peanut oil and Skippy’s happy peanuts. 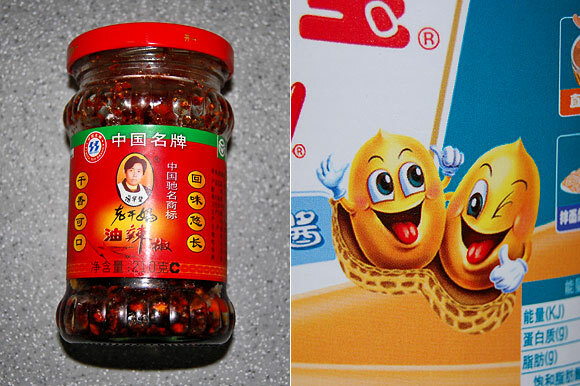 Note: one of the nuts is insane. 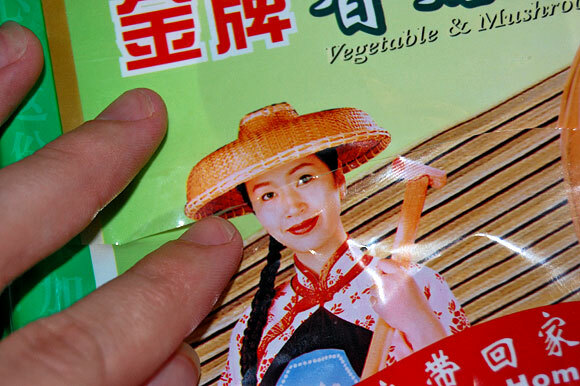 The lady on a steamed buns package. She hold a traditional wooden killing hammer. 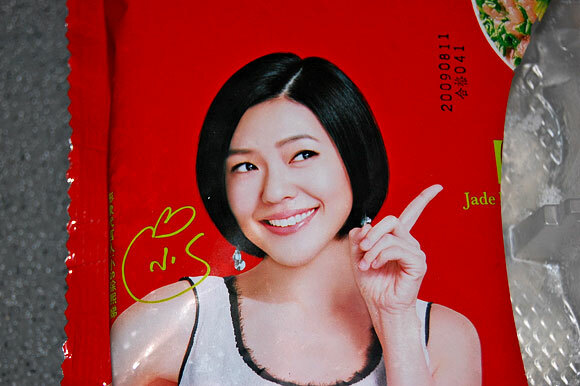 The “Oh no you didn’t!” famous lady on a dumplings package. A current work debacle has involved discussing fireworks at great length and seriousness. To see them outside made for a fitting and slightly surreal way to end an otherwise non-celebratory day.